What does, and does not make a leader? Want to join us in New York? We have been talking about that a lot since we are working on our upcoming Leadership training, Prism. We were really surprised by the questions we were getting like: What if I am not a leader and I don’t have any followers? PRISM metaphor about? Light passes through an existing form and becomes a dynamic rainbow of the color spectrum. In the context of your own personal leadership, you are the prism the light passes through to reveal your amazing colors on the other side. What is the light that passes through you? Where does the rainbow on the other side end up? 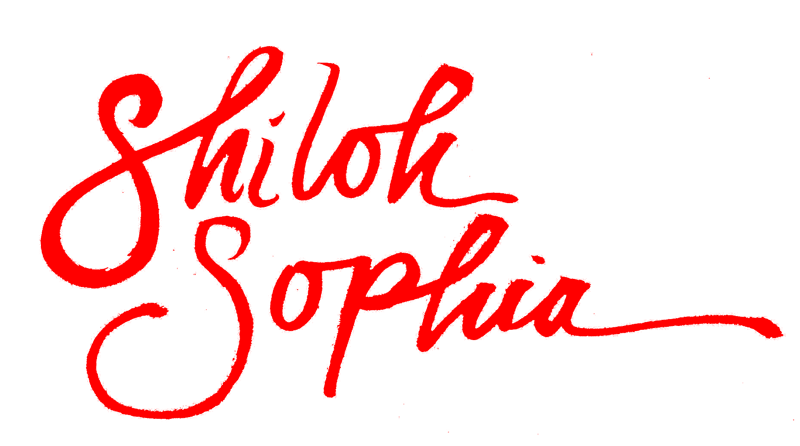 LEARN MORE and receive the $700 savings now! We have developed 8 principles of conscious leadership based on stuff like E=Mc2 as well as the Golden Rectangle, Quantum Potential and how the brain works! We have looked at these 8 areas to see if there is alignment with a lot of other systems, including things like color frequency, the chakra system and the teachings of Werner Erhard’s leadership training (which we both just recently participated in) We got really into it! Looking for threads of leadership among many other systems in order to create our own, and then bring it to the canvas! We made up our own system – that is based in truly heart based being – combined with HOW nature is designed. 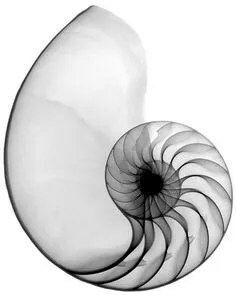 We asked questions like, what would leadership look like if it was based in the divine equation of the golden rectangle? 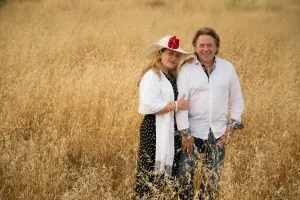 No we aren’t physicists either – we are going to teach these principles, and then our guests are going to PAINT them in order to integrate the material into their own lives and then mastermind around their application. It’s so cool. And I am so excited! Plus for the first time, men and women can come and learn with us together in Intentional Creativity and I get to teach with my husband! The reason we are going to NEW YORK in the first place, is because we are going to the UNITED NATIONS to talk about INTENTIONAL CREATIVITY!! WHOOOT! So if you are coming to the NY trip, come a day early and be a part of our talk on tools of empowerment at CSW60. This will be our fourth year for bringing this conversation about art and healing trauma to the world in this way, it’s really exciting. And so since we are there we are going to gather with our EAST COAST peeps! Below we share some of our insights with you about leadership, because we have been getting a lot of people asking us about leadership – feeling like they aren’t a leader or that there isn’t a need for leadership in their life. This really surprised us, because we were under an assumption that EVERYONE would want to be the leader of their own lives! And yes, this is what we are interested in and invested in, with this training. Of inspiring, provoking and moving you towards your potential greatness. Below are some of our thoughts on what does not and what does, make you a leader. 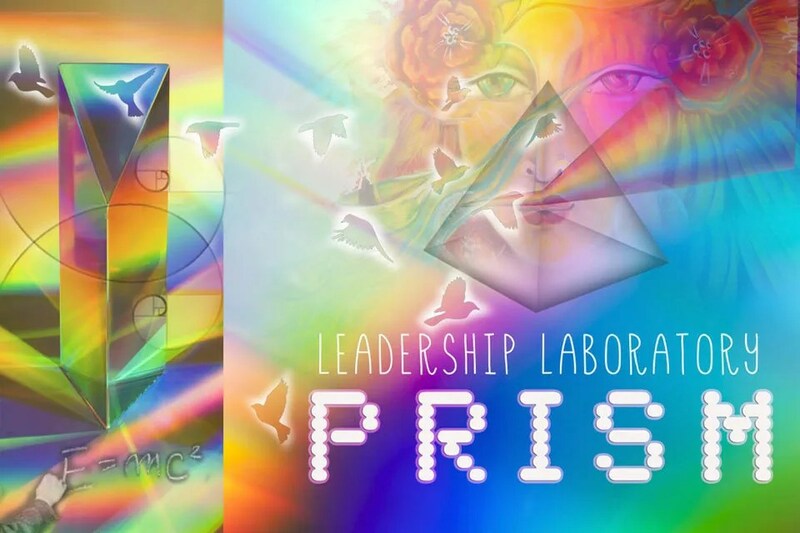 PRISM LEADERSHIP LAB DATES and LOCATIONS: here. What doesn’t make you a Leader? Leadership isn’t something someone can earn, learn or have bestowed on them. You cannot get it in a workshop or read it in a book. You can apply the principles that makes one a leader, but that doesn’t make you a leader. People believing in you and following your work doesn’t make you a leader. Having ‘work’, also, doesn’t make you a leader. All of these things contribute, of course, to the shaping of your very being and identity of who you are and who you are becoming. But it doesn’t make you a leader. What does make you a Leader? Leadership is revealed in you. You discover it for yourself. When a spark is lit within you, you start to feel the heat. There is a yearning for MORE expansion of what’s possible. When you discover the desire and it’s correlative to what you care about, it can be revealed in your very being, it can be put in service to what you are ‘leading’, your energy can be marshaled towards what you want to make happen. This could be a cause, a group or it could be message, or it could be your own life. For most of us being a powerful leader begins with showing up in our own lives first. From there, we can see how we are called to bring transformation to others! It is so exciting! Potent leadership is rooted in Identity, yours. To the desire to be the leader of your own life, to be the author of your own future. To choose to define you for you. When you lead into your leadership with your own crucible of self, then, whatever you work with is shaped by you and who you are. Hence, the need to know you who you are, by becoming, conscious. When you choose to see yourself as a Leader, not based on anyone else’s evaluation of you or how far you have come in life, or who is going to listen to whatever it is you are leading about, that is when your framework can change. PRISM is all about creating a new framework for your experience of your own leadership and to discover just what the ‘light’ is that passes through you to reveal your beauty on the other side! Did someone say biophotons? I get really excited about biophotons! Any questions about PRISM? 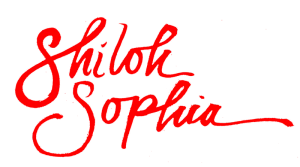 Please contact Sarah at sarah@shilohsophiastudios.com with any questions or feedback, and she’ll be sure to properly address your need or share your feedback with us! I love you. I choose you. I keep feeling like the Great Spirit has such hugely amazing ideas that we really have no idea about. And when we look at things through our limited framework – however rosy the glasses are that we so lovingly choose, we really cannot see the great fabric of the cosmos. And it is so awesome, that great expanse of sky in which we humans and our precious earth is spinning at 67,000+ miles per hour and yet we appear to not be moving. The other night I felt like it was that speed that kept our stars from flying apart – that the movement along with gravity was holding us all together. I felt a great moment of relief as I imagined it going on as it does, and also – of imaging my stars just expanding back into the matrix of love from which I arose. With love and anticipation of being together in the beauty of the multi-faceted light of you. 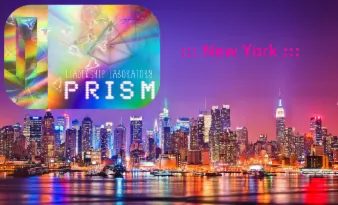 Below you can click, on the image and find an audio of me talking about why PRISM is important to me – combined with images!